We partner with children and families to provide inclusive, accessible nutrition education and genuine support on the journey to improved health and growth. The dietitians at Feed to Succeed are specially trained to provide pediatric Medical Nutrition Therapy, or MNT. This means that we understand how to use foods and liquids as part of a treatment plan to improve the health and well-being of your child. Nutrition therapy can improve weight issues, including both underweight/failure-to-thrive and overweight. We can use nutrition therapy to address GI problems such as excessive gas, diarrhea, constipation and reflux. MNT is also a common part of a treatment plan for issues such as celiac disease, food allergies/intolerances, elevated cholesterol, and blood sugar control. Our dietitians are experts in the area of nutrition support, meaning we can plan and direct nutrition care for those who need supportive feedings from a tube. Our passion is pediatric nutrition. We recognize that kids require special knowledge when it comes to nutrition. Children are growing, developing people, who have different nutrient needs at different ages and stages. At Feed to Succeed, we want to build a relationship with your family so that we can work as a team to help you accomplish your goals. We start by matching you with the best dietitian on our staff to suit your needs. Then, we make sure to understand your child’s health history and any concerns, as well as any cultural and lifestyle nuances that affect your family’s diet. We work with each family to develop an individual nutrition plan to ensure that your child thrives. In addition, we frequently collaborate with pediatricians, specialty doctors, speech therapists, psychologists and anyone an integral to your child’s care. Our four dietitians have a combined 50-years’ experience with different pediatric nutrition issues, and we can match you up to the person best experienced to help your situation. 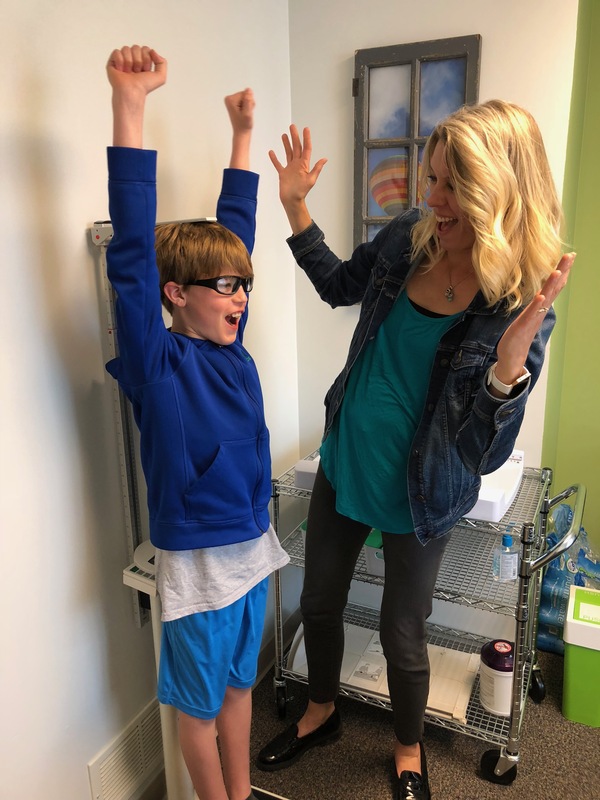 We have the pediatric nutrition knowledge and the experience to provide you with the correct nutrition therapy that will ensure your child thrives.